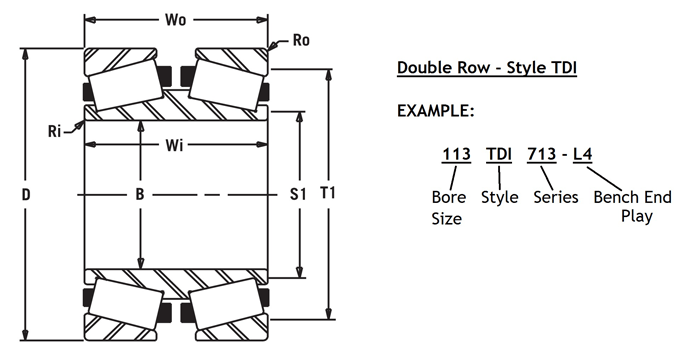 This is a two-row Tapered Roller Bearing using a double-cone roller assembly and has a bore size of 11.3750". In our tables, you will see that it has a 16.0000" O.D. and 5.6875" wide. The Bench End Play is preset at our factory to .004 inches.